Update: You can get a free 8x10 photo at Walgreens with the code PRINT4FREE today, February 5. Use that code to print this DIY Lovebirds Wedding Countdown Sign for free. I love wedding countdowns. It's just such a fun way to get excited over your upcoming wedding. Okay, sure, maybe that wedding countdown sign also gets your a little nervous. I mean, watching that number go down while your amount of wedding tasks goes up, it can be a bit scary. But you're counting down to the day you get to marry the love of your life. That's the best. 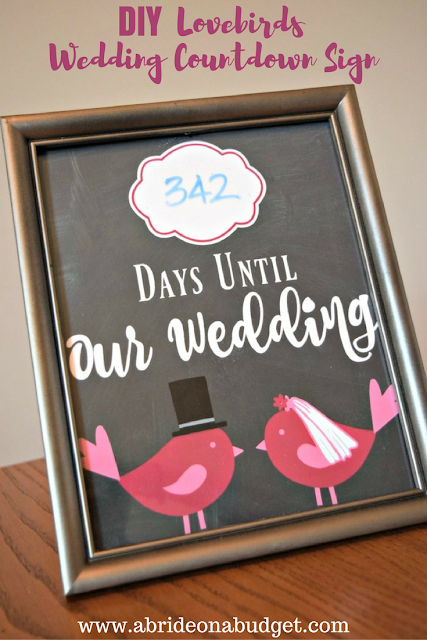 You can purchase a wedding countdown sign, but I would advise against it. Why? Because I made a super adorable one that you can print and put together yourself. That's way more fun! You can display this fun sign anywhere. Put it on your dresser, hang it on a wall, put it on your desk at work. Just make sure you change it every day or you'll lose count -- and have to recount all over. That's easy if you have 30 days left, not so easy if you have 342 left! Print the photo (at the end of this post). You can print it anywhere that prints 8x10 photos. Right now, I would suggest printing it at Walgreens. Today (February 4), you can get a free 8x10 photo print with the code PRINT4FREE here. On the glass of the frame, use your dry-erase market to write the number of days left until your wedding in the white icon. Every day, change the number in the icon. 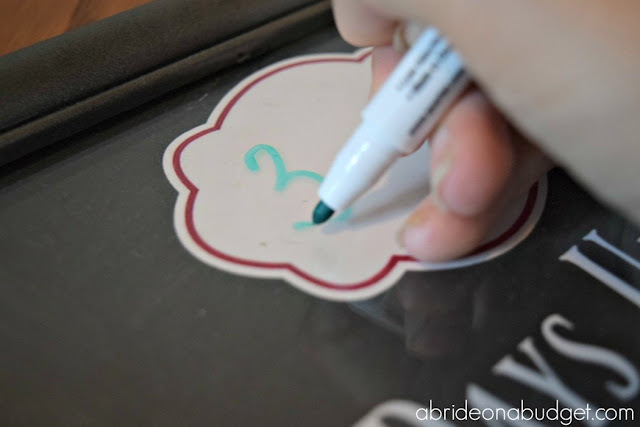 Picking a dry-erase marker with an eraser will make this just a little bit easier. If not, you'll end up saving a dirty paper towel and that's sort of gross. Count down until you are happily married. Then, you can pass the sign to your next engaged friend. 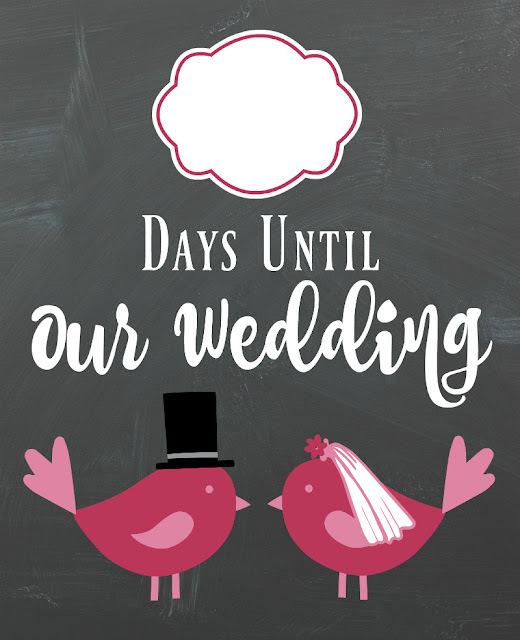 Now, about that free printable wedding countdown sign. All you need to do is right-click the image below and save it to your computer. When you are ready for it, just upload it to a site where you can print (like Shutterfly, Walgreens, etc.). Print it as an 8x10 (that's what it is formatted as) and you can fit it in a frame. 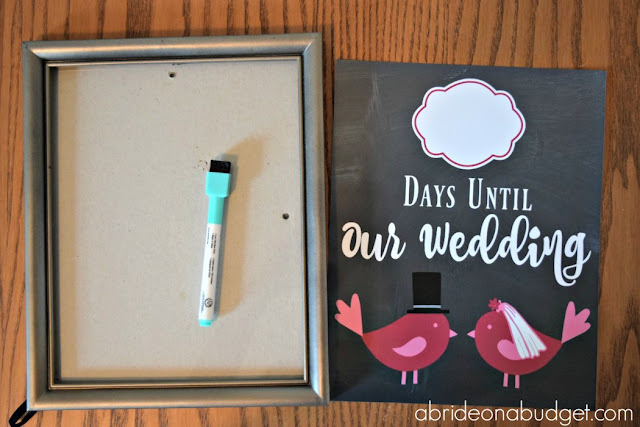 You can print this personalized wedding countdown sign at home too, if you want, but because the background is black and meant to look like a chalkboard, I wouldn't recommend that. It would be pretty ink heavy. Plus, I don't think the paper would look as nice in a frame as it does on photo paper. For all of our free printables, be sure to check out this link. 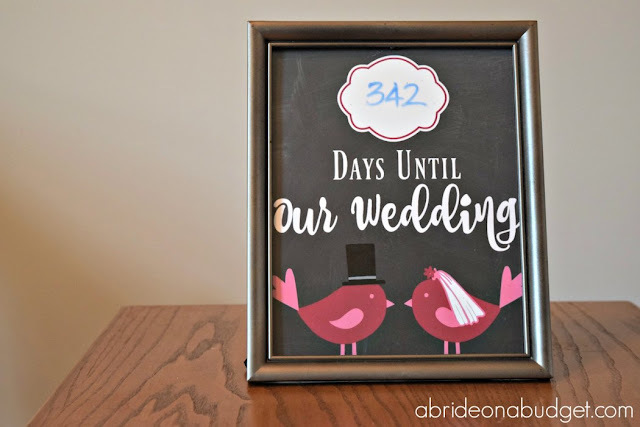 BRIDAL BABBLE: Would you make this DIY lovebirds wedding countdown sign?